In idle half-hours I’ve been watching Danger Mouse on a DVD I picked up for the price of a croissant. As well as being enjoyably daft and wryly amusing, it’s a trip down memory lane; my sister and I loved the cartoon as children. Puns and silly wordplay are a constant (‘Shooting star? Crumbs! I didn’t even know they were loaded’). In an episode titled ‘I Spy With My Little Eye…’, written by Brian Trueman and directed by Keith Scoble, there is an exchange rich in overt linguistic humour, excerpted here. 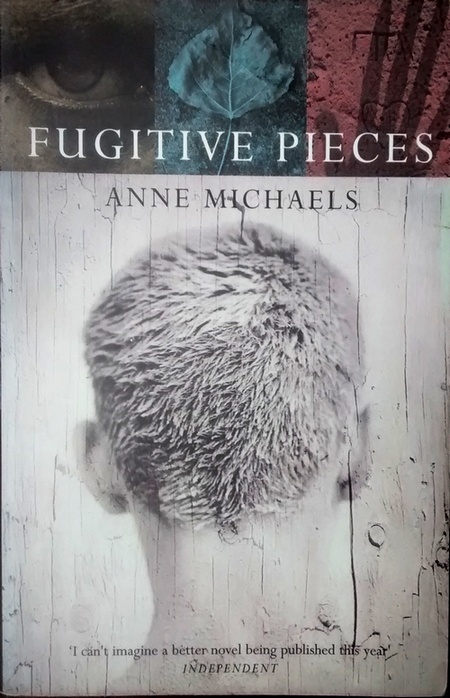 Just a quick post to praise Anne Michaels’ novel Fugitive Pieces, which I recommend without reservation. As a general reference point I might suggest Primo Levi, or Eva Hoffman’s Lost in Translation, but these are only approximate markers. For a proper flavour of this extraordinary book, see her Guardian interview and the excerpts below, which I’ve chosen only because they’re language related; every page contains treasure of a different sort – on memory, loss, love, longing, pain, grace, and connection. I suppose uncertainty is the handmaid of all grandiose literary projects. Many motives lay behind that 1951 decision of mine to translate Joyce’s Ulysses into Irish. If they won’t read it in English, I said to myself, bedamn but we’ll put them in the situation that they can boast they won’t read it in Irish aither. It’s work, though. And black thoughts encloister me, like brooding buzzards. Is it worth being accurate if nobody will ever read the translation? What’s the Irish for Robert Emmet? And who will put Irish on this fearsome thing written by Joyce himself: Suil, suil, suil arun, suil go siocair agus, suil go cuin. See the snares in this business, doom impending, heart-break? David Bellos’s 2011 book Is That a Fish in Your Ear? : The Amazing Adventure of Translation is full of delights and insights not just about the history and phenomenon of translation but about communication, language, and culture more generally. In a chapter on what Bellos calls the myth of literal translation, he points out that the word literal is sometimes used ‘to say something about the way an expression is supposed to be understood’. This applies to the word literal itself, and thus to the perennial nontroversy over literally which centres on the claim that it should always and only be used ‘literally’. The claim is flawed on several levels. The young Vladimir Nikolaevich spoke excellent French, good English, and bad German. That is just as it should be. Properly brought-up people should of course be ashamed to speak German really well; but to throw out a German word now and then, and generally on facetious topics – that is allowable; “c’est même très chic,” as the Petersburg Parisians say. Imagine the faux pas of slightly mistiming one’s departure from the room while speaking good German. Drawing room, incidentally, has nothing etymologically to do with drawing – it’s short for withdrawing room, which is the older name: a room to withdraw to. But I’m all for drawing there anyway.